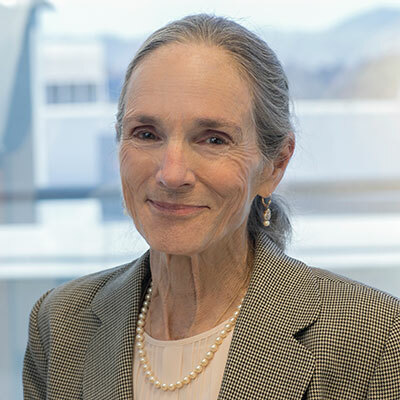 Susan A. Ogdie has over forty-five years of general litigation experience (predominantly, defense-oriented), specializing in labour and employment-related law, personal injury, product liability, and environmental contamination. She has been the principle attorney in more than two dozen trials in areas such as wrongful termination, various forms of alleged employment discrimination, product and premises liability under theories of negligence and strict product liability, asbestos litigation, maritime law and medical malpractice, with related sub-issues involving areas such as psychiatric and wrongful death damage evaluations. She has represented in litigation members of a significant array of industries, such as petro-chemical, food processing, lumber, machinery, trucking, agriculture, rubber and synthetics, electrical power, water, steel, and medical devices and instrumentation. Ms. Ogdie graduated from Georgetown University Law School in 1971, during which time she served as a law clerk and legislative analyst to Thomas Corcoran of Corcoran, Foley, Youngman & Rowe. Upon graduation from Georgetown, Ms. Ogdie joined McCutchen, Doyle, Brown & Enersen in San Francisco, California, in its general litigation and labour law departments. She was a partner in McCutchen from 1978 through April 1996, when she left to form her own firm, Ogdie & Armstrong, based in Oakland, California. In 2006, Ms. Ogdie became a partner in the Oakland-based law firm of Filice, Brown, Eassa & McLeod, LLP, with which she remained until 2014.